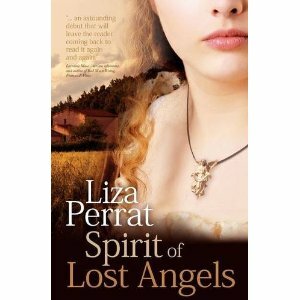 The next book up for review is Spirit of Lost Angels by Liza Perrat. I am overwhelmed by the beautiful cover design and the pleasingly thick paper in this POD book. It’s gorgeous to look at and luscious to handle, and although I’m only 50 pages into it, the writing is drawing me in, strongly. I am looking forward to curling up with this book when my daughter falls asleep tonight! The series “From Mainstream to Indie” is ongoing. Please contact me if you know of any authors who would like to speak on this topic. I just finished and reviewed Spirit of Lost Angels. Fabulous book by Liza Perrat. You’ll enjoy and your readers will enjoy hearing about it! I make a point of not reading other people’s reviews of the book I’m currently working on to ensure that my opinion is not influenced in any way. I’ll look at your review as soon as mine is up. I’ll tell you right now, though, I completely agree that Spirit of Lost Angels is fantastic!